Twenty three pages of short story and there’s enough here for an entire novel. I don’t just mean the idea, I mean the thing itself reads like a novel. It’s mind boggling to think how much Terry Grimwood has managed to squeeze into this small chapbook. It’s a testament to the writing which is spare and fractured, yet incredibly detailed. In fact, the whole structure is disjointed, adding to the fragile, brittle world the characters inhabit – and also themselves. In a few scant words, Grimwood gives full flesh to his people, covers the bones of his story in rich detail with light strokes of his writing. It’s an incredible feat, only slightly marred for me by the use of present tense in places. At least at first. It made it difficult for me to break into the story at first, which is already dense and layered. I feel, and this is purely a personal thing, that it would have been better to start with past tense and introduce the present later, because, as the story races towards its end, it really doesn’t distract at that point. Still, a minor quibble. The story is epic, beautiful, tragic and very dark, with little hope of redemption for any of its protagonists. There’s enough here to sustain a whole series of novels and I’d love to see more. The scene with Sian and The Singer in her room…well, it sent shivers up and down my spine. Many thanks, Paul – more soon! 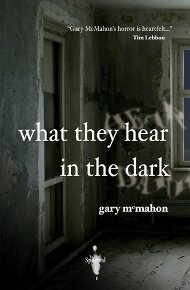 A recent review from a satisfied customer..
A good friend I know from my FracturedSpacesRecords days sent me this review of Gary McMahon’s What They Hear in the Dark… glad to hear of another satisfied customer! Truly original and inspiring horror is a rarity to come across these days, far too often ‘modern’ authors depend on ‘schlock/blood/guts/gore’ to sell their books, almost dispensing on what makes for true horror. “What is that then?” you ask bemusedly? Atmosphere. dear reader…atmosphere! 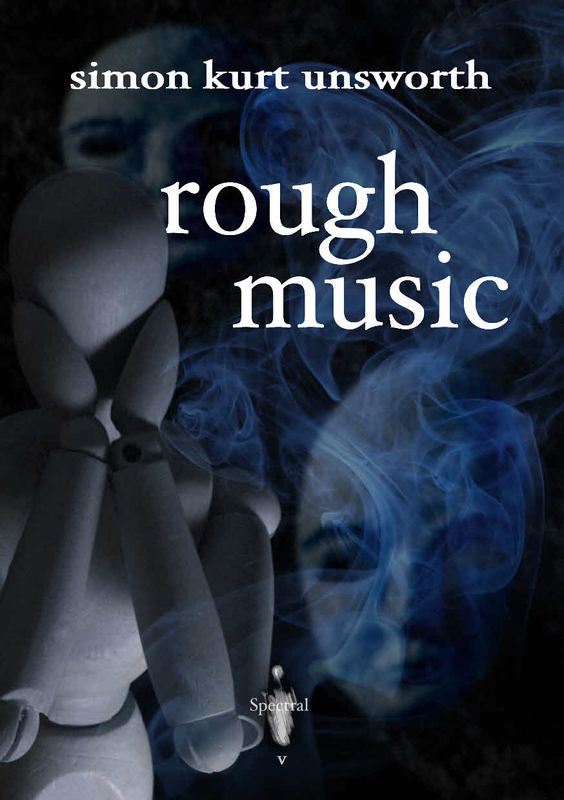 Simon Marshall-Jones at Spectral Press knows what horror is really about, and his authors are that rare breed who feed of getting under your skin … into your head … deep inside your fears and neuroses…leaving you feeling really ‘sullied and unusual’ for the longest time after. What They Hear… is a slow-burning novella by Gary McMahon, beautifully constructed, with only the merest of subtle hints of possible savagery and violence – instead it’s a tale swathed in dark oppressive cloying atmospherics, I began to genuinely feel a sense of claustrophobic unease the further I read, Gary finds a way of not just making you ‘see’ his characters and environs, but to actually put you ‘in’ there alongside them, actually sharing in the fear, misery, and creeping dread. As the story unfolds, I actually wanted to stop reading, I was genuinely so uncomfortable, yet as much as I wanted to stop… to put the book away completely… I just couldn’t… I had to keep reading, as the story reached its shuddering grisly finale. I finally finished and put the book down, but I couldn’t think what to do next, I kept going back over what I’d read in my head… Gods help me if I’d needed to sleep…that would have been a complete non-starter! Congratulations to both Gary, and to Spectral Press… I’m hooked… well and truly…curse you for freaking me! I received this customer review from Clayton Stealback yesterday via Facebook… glad to read of another satisfied reader! “Let me start by saying that I am very impressed by Spectral’s first chapbook. The quality of the artwork, layout, and the print make these wonderful to read and essential to collect. Spectral’s first release features a masterfully rendered story by Gary McMahon. Here Gary gets straight into the story – no messing about – setting the rather oppressive scene of a couple recently moved into a dilapidated house, cleverly describing the couple’s surroundings though their feelings and their senses to create an impressionable bond between reader and characters. So, pretty much the entire stage of the story is described in the first few pages…then the magic really starts. Upon setting up the scene, Gary brilliantly starts to delve into the character’s minds, ruthlessly peeling away their outer layers to reveal their truest, deepest feelings and the darkness harboured within. It’s very skilfully done, and there’s a kind of reflective quality about the scenes and the characters that manage to complement each other, bringing the whole story to life and making it lucid. Tim Lebbon got it exactly right when he quoted that Gary’s horror is heartfelt. I read this in half an hour. Which is a perfect chapbook, if you ask me. I will start by saying that this is a sharp looking booklet. Nice artwork and sharply done…Nice collectible feel…and then we get to the actual story. I am not familiar with McMahon’s work, but I am good friends with Spectral Press founder Simon Marshall-Jones, and know him to be a stickler for quality. This is a superb tale about a haunting. A couple buying an old house to renovate and work through a personal tragedy only to find themselves haunted by emotions heavy and horrifying. McMahon’s descriptions of the emotions at work here are fantastic. 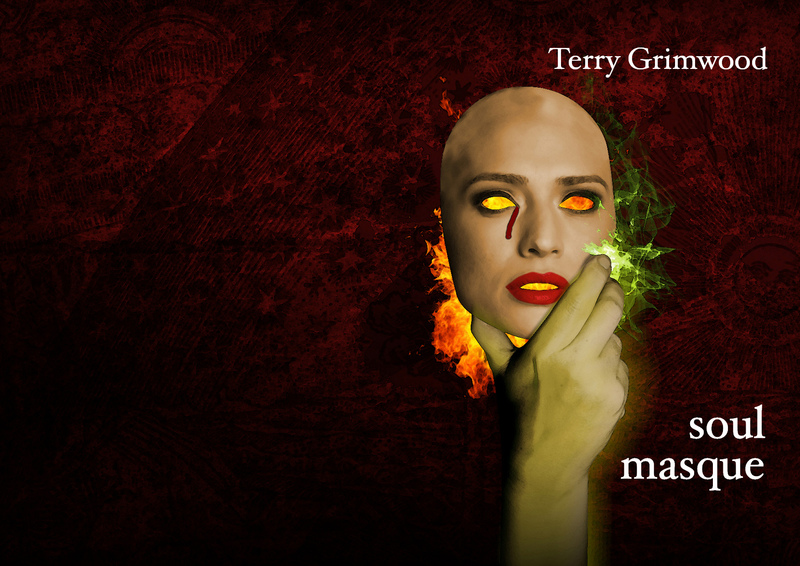 I am eager to check out more of his work…and extremely anxious to see what is next from Spectral Press.